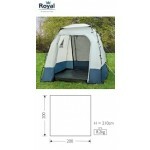 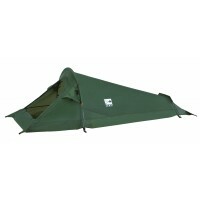 The Royal Utility Tent is larger than a standard toilet or shower tent having a 200x200cm footprint. 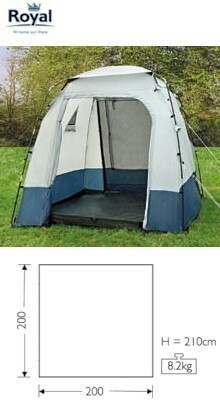 This makes it much more versatile in terms of potential uses – a tent annexe, storage tent, day tent, kitchen tent, etc. The tent features front and rear roll-away doors, the front door has a large PVC window panel with an internal cover for privacy. 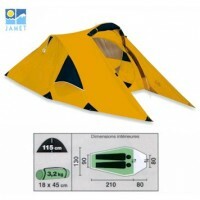 The tent comes complete with a bath-tub riser groundsheet which fits the entire floor area and also comes with canopy poles to prop open one of the doorways (for a bit of impromptu flashing). 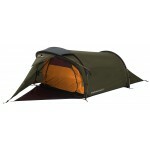 Technical features include; 9.5mm Fibre-flex fibreglass poles; 185T polyester flysheet with taped seams (2000mm HH waterproof protection) and the Auto-flo ventiliation system for reduced condensation.